Every year, hundreds of volunteers make an invaluable contribution to the operation of Macon County’s conservation areas and historic sites. Whether greeting visitors or assisting with programs, our volunteers help the Conservation District serve the residents of Macon County. 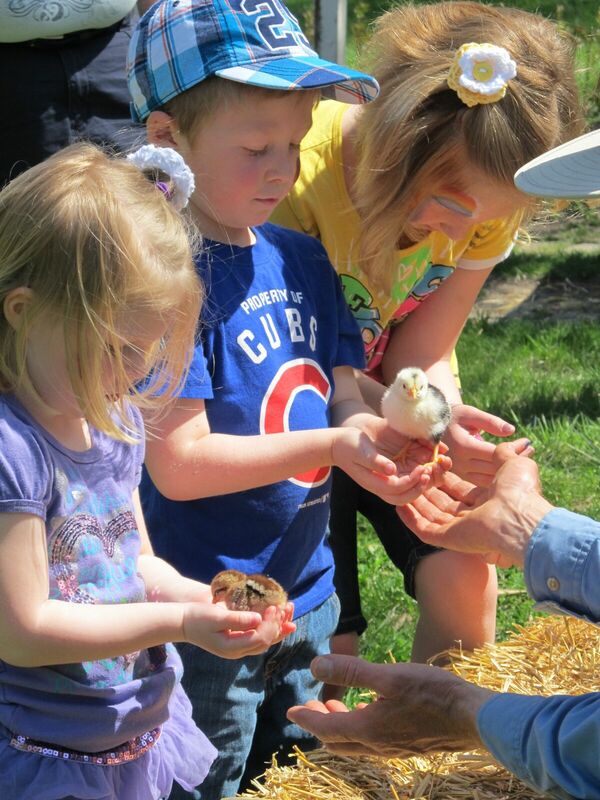 Volunteers like you help us maintain over 3,300 acres of natural areas and offer hundreds of school programs, special events, hikes, and weekend programs throughout the year across all of Macon County, Illinois. You’ll find indoor and outdoor volunteer opportunities available year-round. Volunteers are essential to the Conservation District and its mission. In 2018, a total of 501 volunteers donated over 12,125 hours. We invite you to join the team! How often can I volunteer? You decide! Some volunteers help once or twice a year. Others help once a month, or even once a week. What can I do? We have something for everyone! Opportunities include the following areas: Rock Springs Nature Center, Educational Outreach, Conservation Support, Historical Interpretation, Youth Programs, and Seasonal & Special Events. What are the benefits of volunteering for the Conservation District? Volunteer opportunities throughout our community can offer you life long learning, new friendships, and have been linked to improved health. Volunteers at the Macon County Conservation District will receive two of our newsletter publications: Volunteer Quarterly and Prairie Islander. 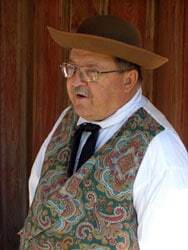 Volunteers that help through the Prairie Heritage Program will also receive the Astounder newsletter. How do I sign up? Fill out a Volunteer Application. Return your completed application to Rock Springs Nature Center or drop it in the mail. All potential applicants are interviewed and placed in an area suited to their interests and abilities. As you fill out your application and browse volunteer opportunities, feel free to contact us with any questions at (217) 423-7708. For more information, call (217) 423-7708 or email [email protected]. Download the Volunteer Application to get started. 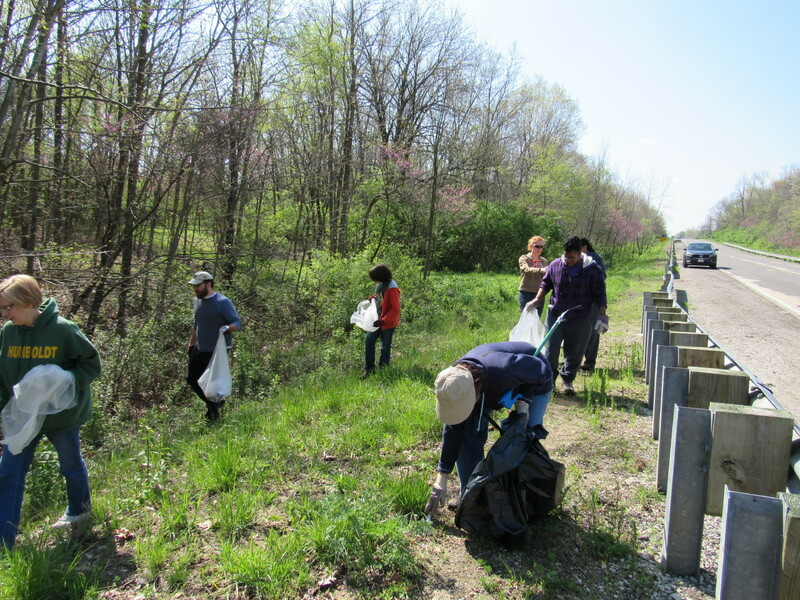 Volunteers are needed to assist in the removal of invasive species from District areas and help protect wildlife diversity. There are many opportunities available, some of which include prescribed burning, removing fencing, and removing bush honeysuckle. For more information, contact Ethan Snively at 217-423-6796 or [email protected]. Information Desk Volunteers are an essential part of the Nature Center. Volunteers greet the public, answer simple questions, and assist staff with projects. Training provided. For information or to sign up, contact Jenny Garver at 217-423-77008 or email [email protected]. Help students have a fun, educational experience at the conservation areas this school year. As a volunteer naturalist, you can assist staff with school programs or lead hikes. We provide you with training and opportunities to observe someone else in action. For more, contact Jenny Garver at 217-423-7708 or email [email protected]. 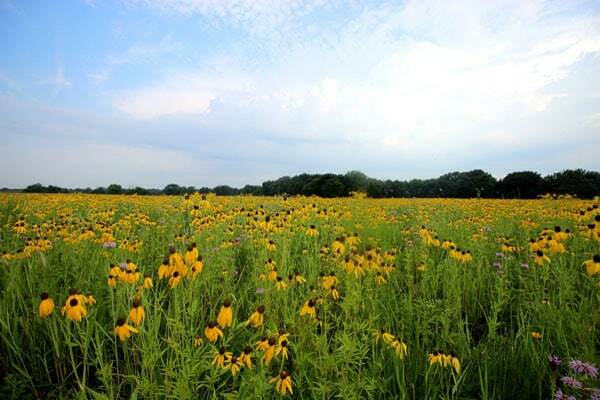 Homestead Prairie Farm is a historic treasure that links us to our past. Young and old are amazed as they step back into time and learn about our local history. On the weekends, staff, volunteers, and guest presenters provide programs and tours to bring this historic home to life. If you love history, we would love to have you join us! For more information, contact Brent Wielt at 217-423-7708 or [email protected]. Do you enjoy books and reading? 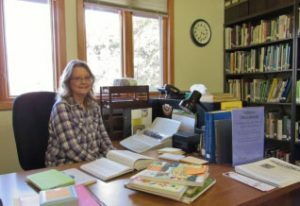 If so, the Conservation District library may be a great place for you to volunteer. This library not only serves as a vital resource for developing educational programming, but is also open to the public. Volunteers assist with checking out materials, re-shelving books, and maintaining the library collection. Morning and afternoon shifts are available. For more information, contact Jenny at 217-423-7708 or [email protected]. Volunteers stationed at the Information Desk inside the Nature Center greet patrons, answer questions, and assist staff with projects. Morning and afternoon shifts are available every day of the week. The Conservation District’s library holds a generous collection of books and periodicals for Macon County residents to use. Volunteers staff the reference library, help people find materials, and catalog items. With several thousand Prairie Islander newsletters mailed every year, we need volunteers to help put address labels on each newsletter! This opportunity occurs four times a year. Volunteers help with special projects from time to time. For example, database entry, bird house building, photography, or cutting out items for craft projects. Ask us about special projects to see if there is something for you! Download the Volunteer Application to get started! Throughout the spring and summer seasons volunteers monitor bluebird houses at several District sites, collecting data on the bluebird population. Help remove invasive species from District areas and protect wildlife diversity. A variety of opportunities are available throughout the year including collecting native plant seeds, pulling garlic mustard plants, and bringing the sugar maple population back under control. 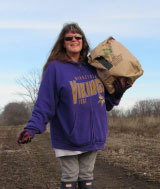 Volunteers hike trails on a monthly basis monitoring condition, litter, wildlife, and trail use. Trails are located at Rock Springs, Griswold, Fort Daniel, Friends Creek, and Sand Creek Conservation Areas. 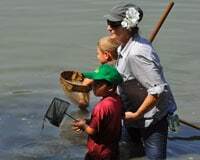 Every year thousands of school children visit the District for programs and nature hikes. Volunteers are needed to lead hikes and assist staff with educational programs. Most programs take place at Rock Springs Conservation Area. The Homestead Prairie Farm located at Rock Springs Conservation Area is a period 1860 home used to make the days before the Civil War come to life for visitors. Volunteers help lead tours throughout the year and assist with maintenance projects such as painting, sidewalk repair, and other light mechanical projects. Stay up to date on these volunteer opportunities by subscribing to the Homestead Prairie Astounder newsletter or attending the monthly meeting. 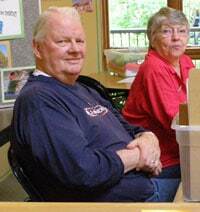 Volunteers come together every other week at Rock Springs Nature Center to practice playing the dulcimer instrument. This group also performs throughout the year at District events or programs, and throughout the community. A group of quilters meets every Wednesday in Rock Springs Nature Center to demonstrate quilting the old-fashioned way. 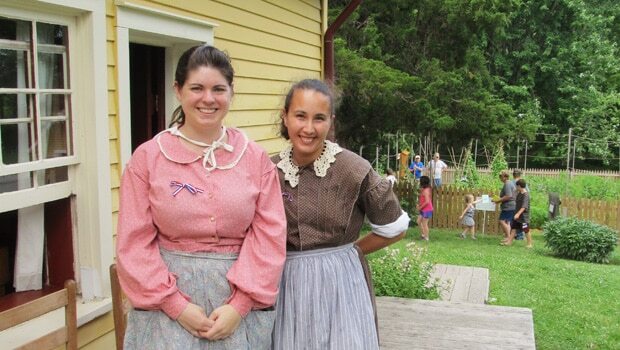 These volunteers also help sew period clothing for Homestead Prairie Farm volunteers. Sewing projects can be completed in your home. Volunteers will need their own sewing machine if they desire to use one. Throughout the year groups schedule luncheons and dinners at the mansion, and volunteers may help cook and serve the meals. Volunteers may also lead tours through the mansion for the public. These unique opportunities are a lot of fun and a chance to spend some time in one of Decatur’s premier historical houses. The Governor Oglesby Mansion is located at 421 W. William St., Decatur, IL. The Ground Squirrels play the game of base ball as it was played in 1860. The team competes against other vintage ball clubs across the region. Their home field is located at Rock Springs Conservation Area. Whenever there is at least four inches of snow on the ground, the district rents skis to the public. Volunteers help collect money and assist with handing out equipment. This volunteer assignment is on an on-call basis, depending on weather conditions. 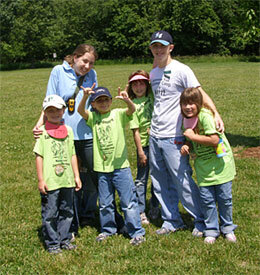 These volunteers assist camp counselors with activities, hikes, and coordinating day camps. Volunteers attend a short training session and are required to wear a camp t-shirt and name tag when they volunteer. 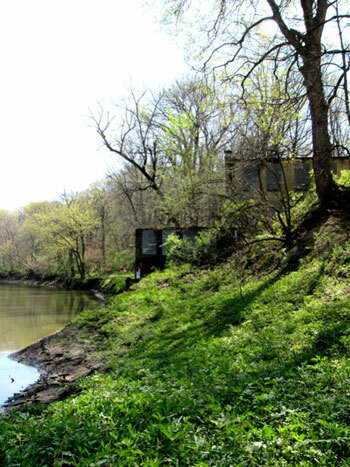 We offer both nature and history themed camps. This one-day festival happens every April and a large number of dedicated volunteers are needed to greet visitors, help with children’s activities, canoeing, and much more! This annual event takes place at Friends Creek Conservation Area in late summer. Volunteers help with children’s crafts, hand out door prizes, and assist the public with telescopes. This bicycle fundraising event occurs every September and is sponsored by the Macon County Conservation Foundation. Proceeds benefit natural area restoration efforts. Volunteers assist with registration, food service, and at rest stops along the bicycle routes. Held annually in October, this festival needs volunteers to help with children’s crafts and activities, marshmallow roasting, storytelling, and more.